A few people have asked “How’s married life so far?” Well, we spent 2 of the 3 weeks in Hawaii, so I can easily tell you it’s the greatest thing ever!! We left for our honeymoon adventure Sunday afternoon, the day after the wedding, to keep the party going. We spent the first night in downtown Chicago at The Drake and then before we knew it, we were on a flight to Hawaii Monday morning. 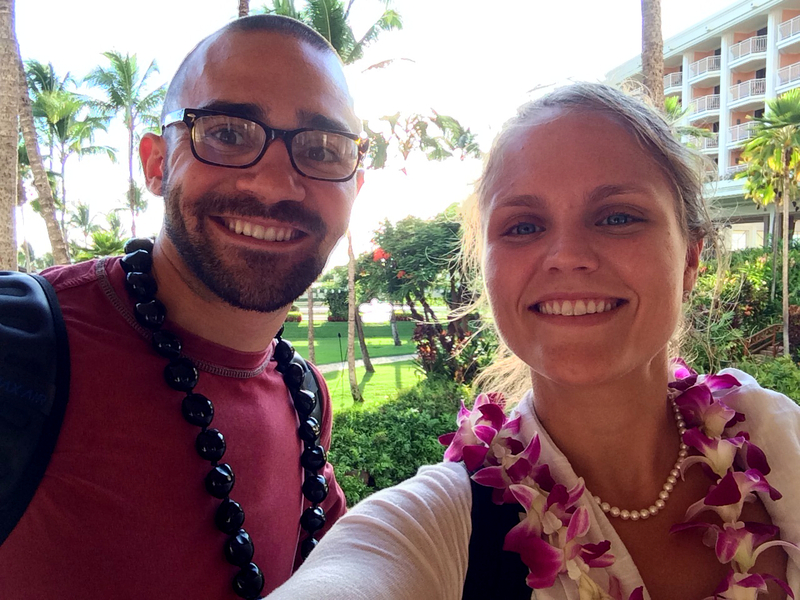 After a full day of travel, we were wearing leis and kukui nuts! 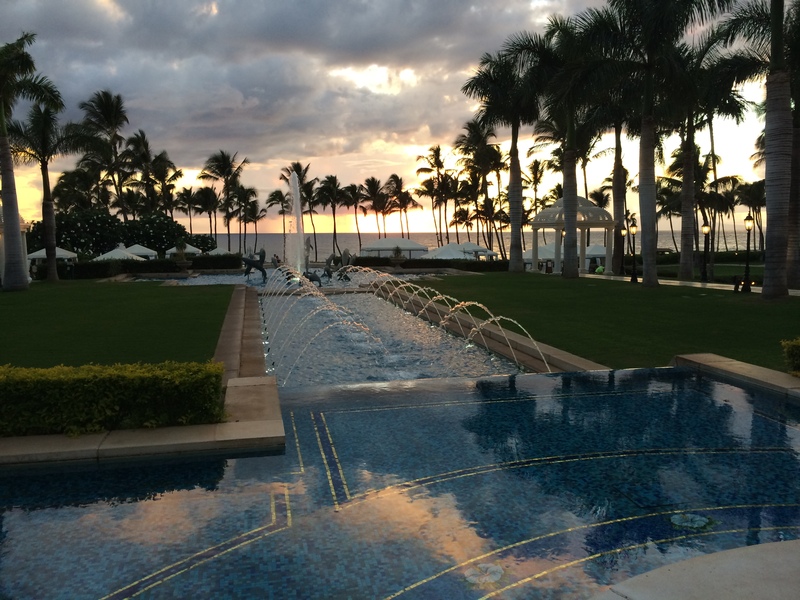 Our first week was spent in Maui, staying at The Grand Wailea. It was a beautiful start! Especially when we got to the room and found champagne and chocolate covered strawberries waiting for us – thanks mom and dad! We made it just in time for our first of many sunsets. 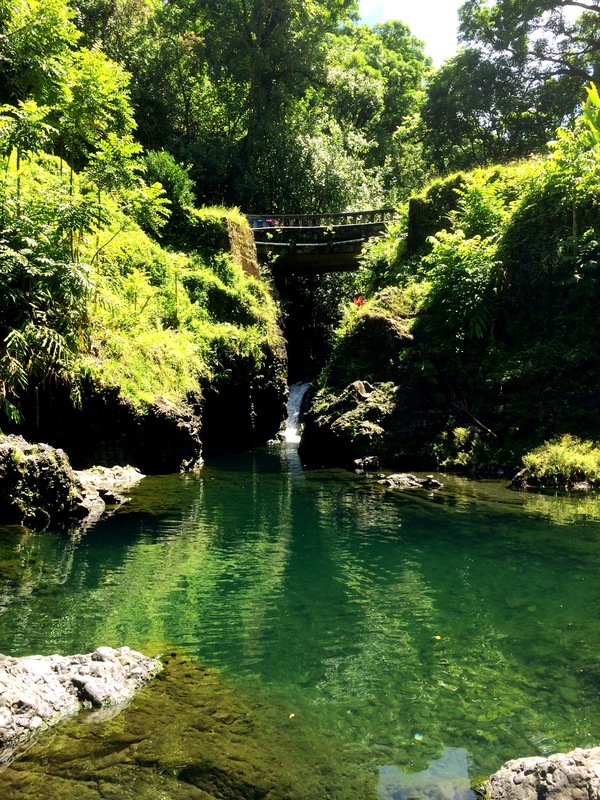 This is one of the little pools we stopped off to swim in. To my horror, Andrew jumped off the rocks to the right of the bridge here. 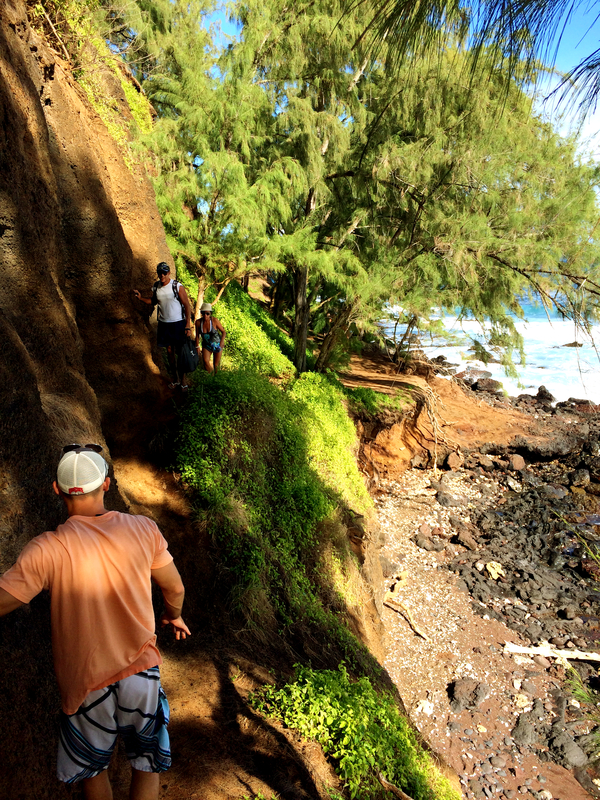 And a little while later, hiked this narrow path to get to a red sand beach! 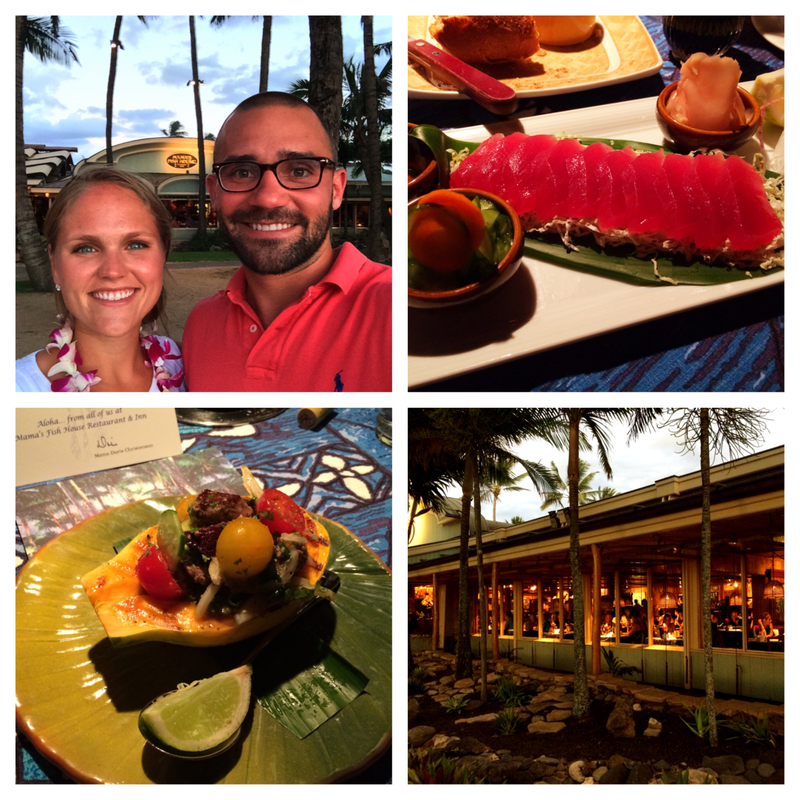 We had the best dinner of our lives, hands down, at Mama’s Fish House. Andrew said it perfectly when we walked out – “Never have we spent more on a dinner, but my only regret is that I didn’t have room to order and eat more!” When we got to our table looking out over the ocean, our friends Elaine and Antonio had a bottle of wine waiting for us. It was so special! 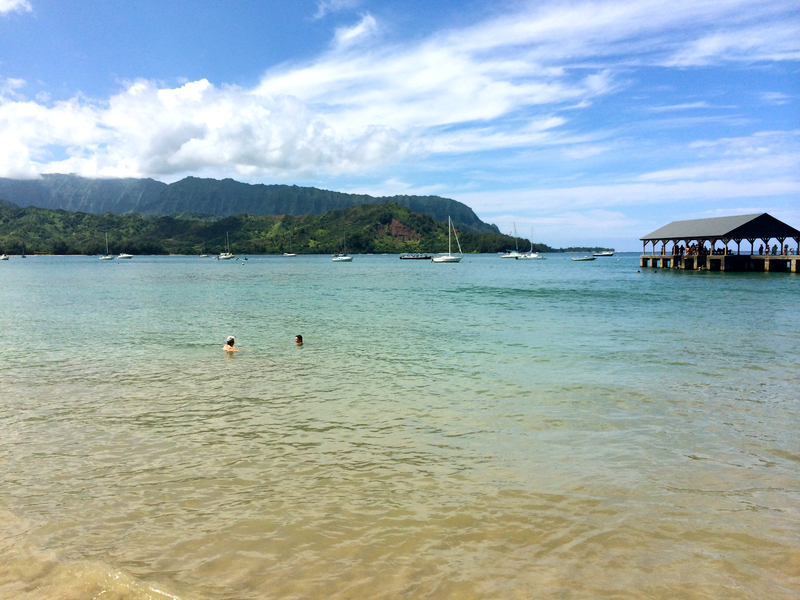 After a week on Maui, we hopped on a quick plane ride over to Kauai. Wow, this island is stunning! Within an hour of landing, I knew this island would be my favorite island! It’s just so lush and tropical and picturesque. 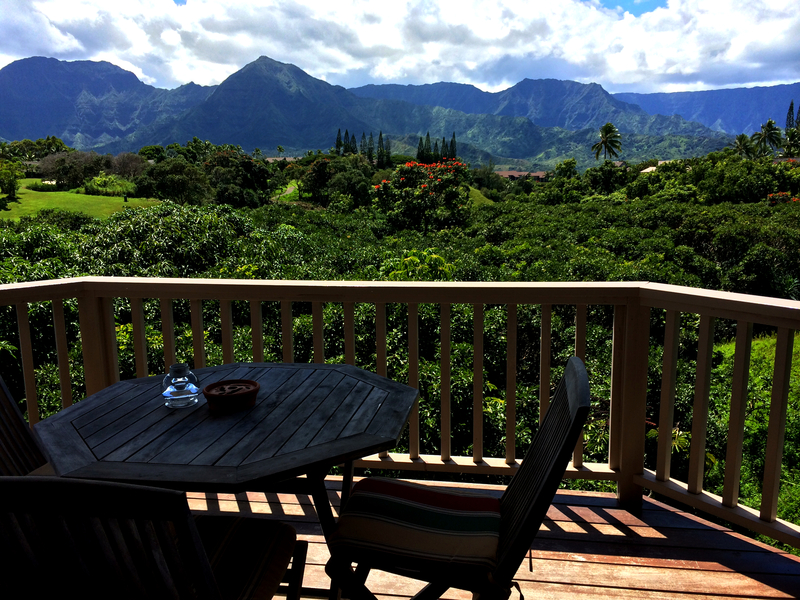 We stayed on the north side of the island the first 4 days in a VRBO, with this view from our balcony. It was absolutely dreamy sitting here for eating breakfast in the morning or sipping champagne in the evening. 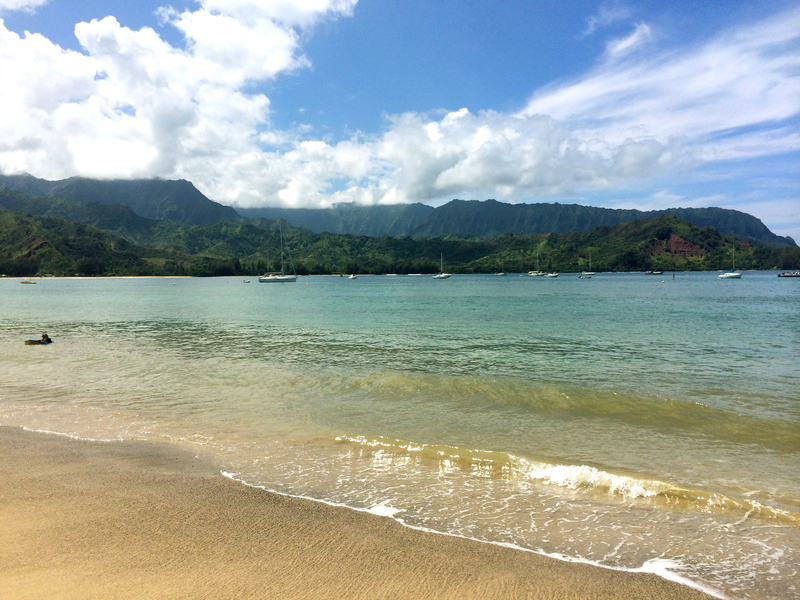 Our favorite beach on the north side of the island was Hanalei Bay, which is surrounded by Jurassic Park looking mountains. We did some great boogie boarding – my favorite! 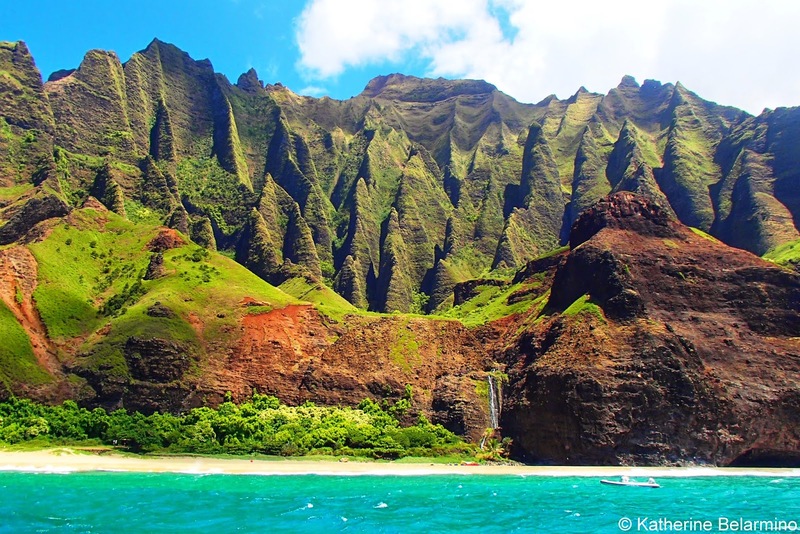 To really take in the coastline through, you need to go out on a boat (or helicopter!!) ride to see it all. 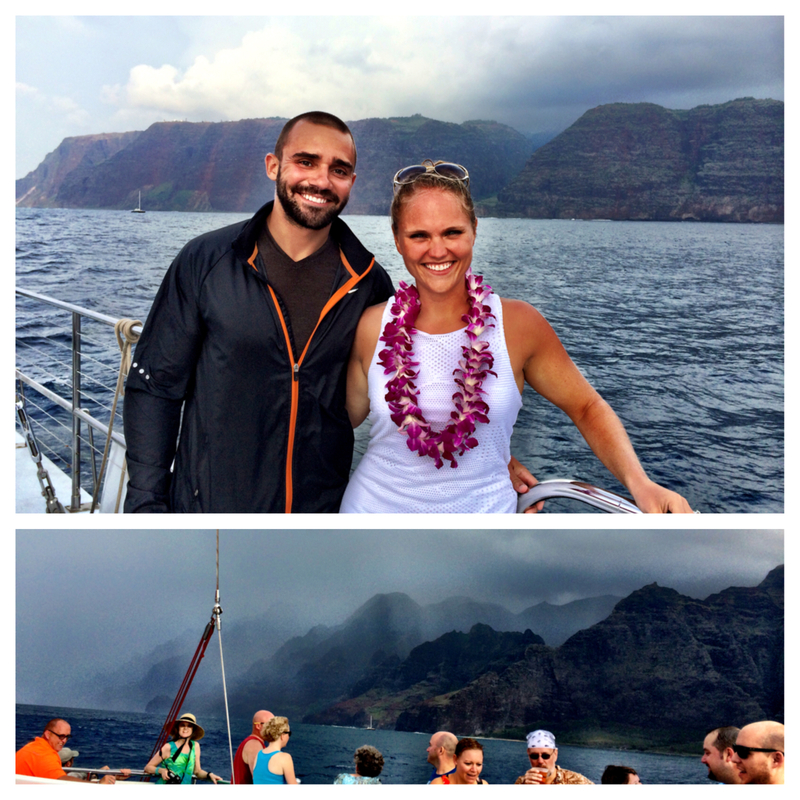 Unfortunately, it rained most of the time we were out on the boat, but it was still gorgeous in a mystical kind of way. We spent our last 3 nights on the south “sunny” side of the island at the Grand Hyatt Kauai, relaxing luxuriously and soaking up the last few days of the honeymoon. 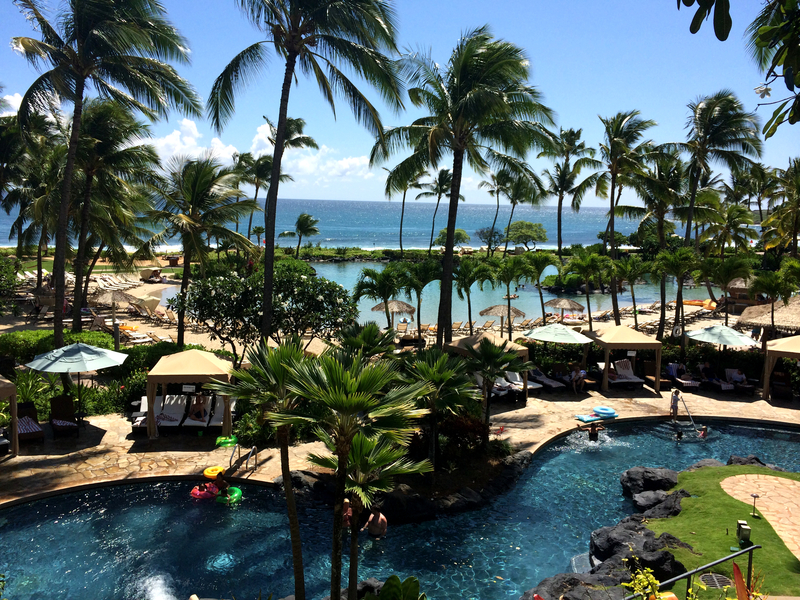 Discovering the multiple pools and beach front at the Hyatt, we canceled our remaining excursions to just unwind. 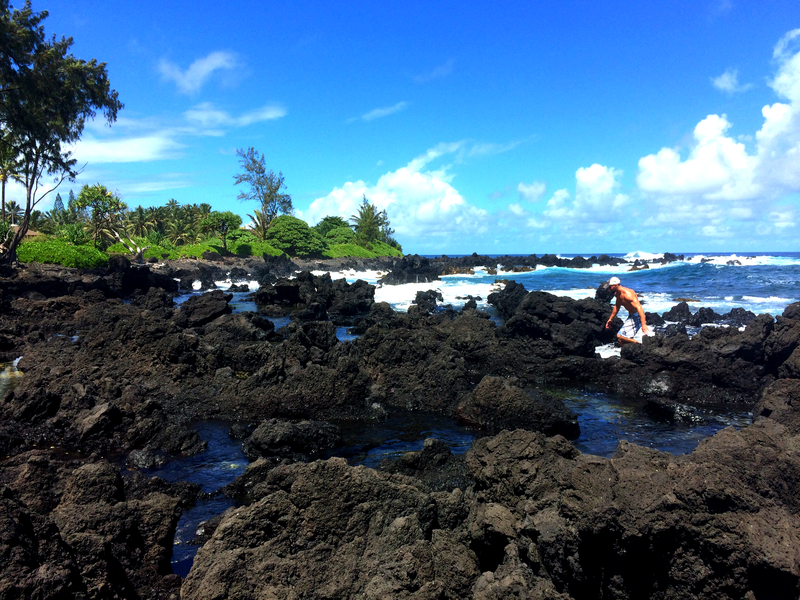 *A special thanks to Ginny Wagner for helping us plan our stay on Kauai and to Kelsey Stapp, Matt Weinberg, and Kiki Lyons for the Maui tips! Thanks grams!! It was hard to put together because I had to narrow down from so many beautiful pictures!!! 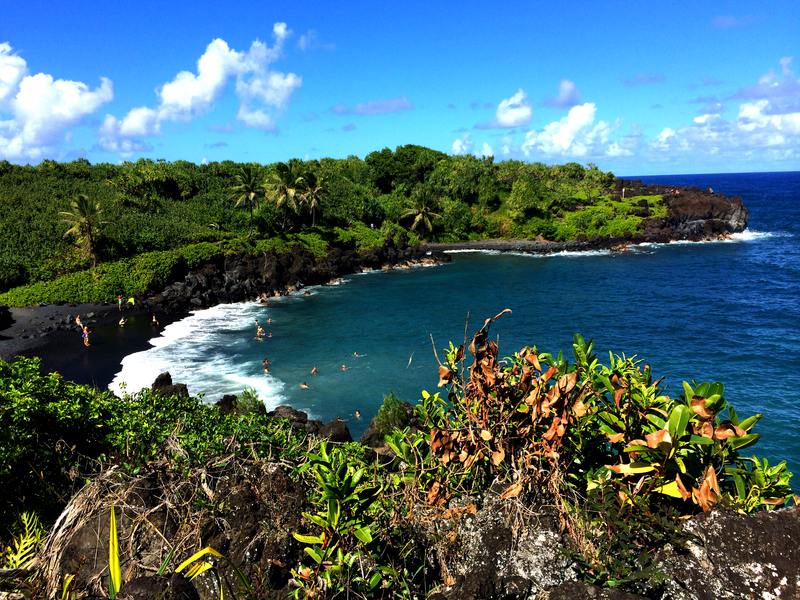 Did the road to Hana with 2 sorority sisters, Schmutt and Lynn and her husband (gorgeous Fred). Everyone else in our group back at the B&B with the flu…we had a blast! Stopped and did all the things in your blog and it really was an adventure! We got back way after dark and had to stop for Margaritas to discuss all that we saw. Your pics brought it all back and will be forwarding it on to my friends. My friend, Schmutt already follows you on your blog. Welcome back, still thinking and talking about your wedding – the best! 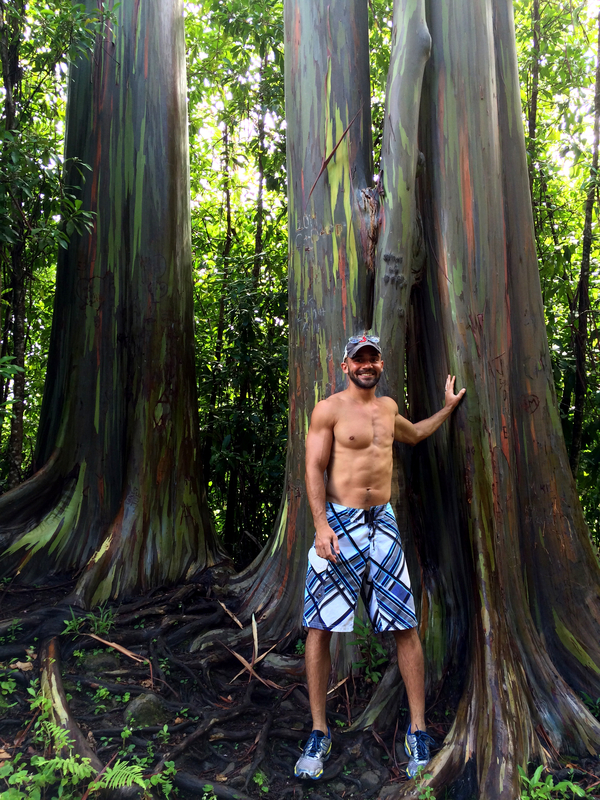 We love Hawaii :) Spent two weeks on Maui for our honeymoon and loved every second. 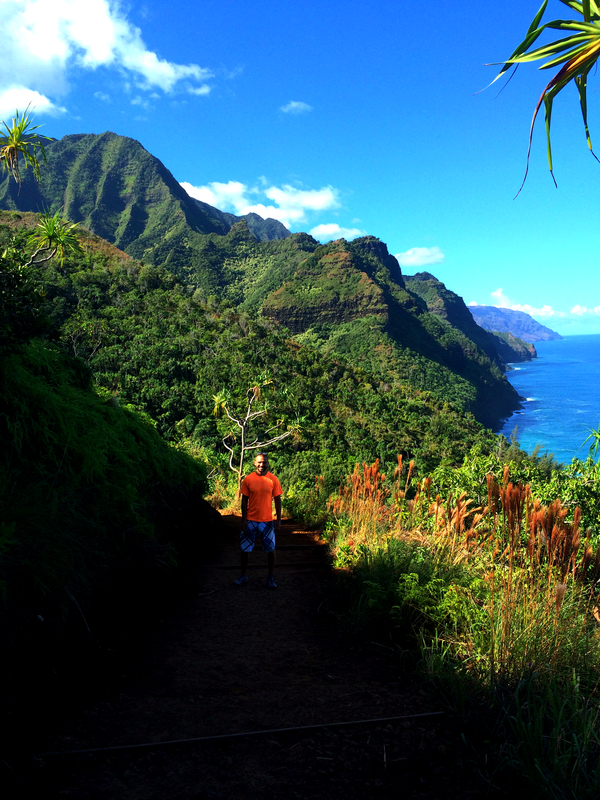 Although, Kauai is still our favorite (by a SLIGHT margin). Aloha! Thanks for posting this!! 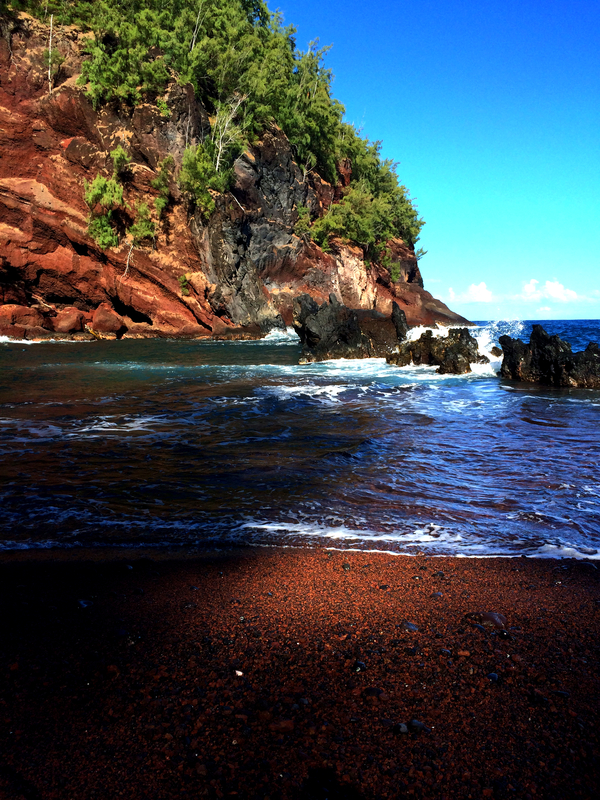 Glad to hear you enjoyed Kauai so much. And “yes” those are the Jurassic Park mountains! !